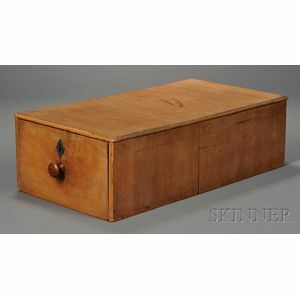 Shaker Pine One-drawer File Box, Mt. 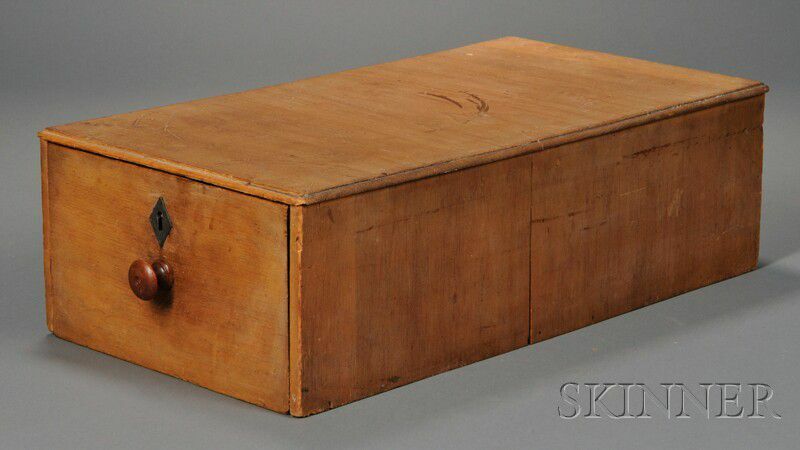 Lebanon, New York, or Hancock, Massachusetts, c. 1840-50, molded top on case with dovetail-constructed drawer, turned pull, diamond-shaped steel escutcheon, with original key, ht. 6 3/8, wd. 11 3/8, dp. 20 5/8 in. 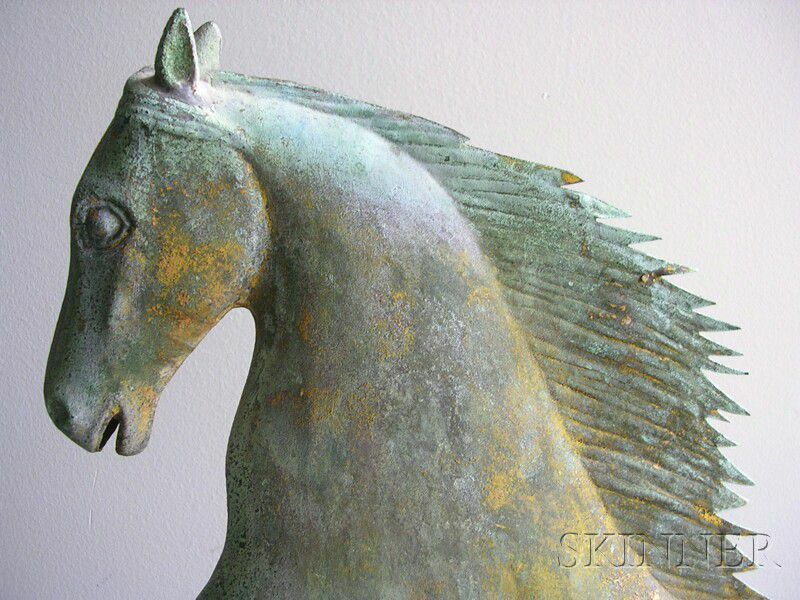 A few stains to top; chips to corners of molding.